Microsoft really needed the Quantum Break to be a system seller that not only restores faith in the power of the Xbox One, but also in the future of brand itself, sadly it just does not fit together as well as those lofty ambitions demand. A great idea born from the days when the Microsoft were charging head-first into the motion controls and TV integration, Quantum Break was announced as a bridge between the two ideologies; a hybrid game that would feature a TV show, whilst at the same time being third-person shooter video game. 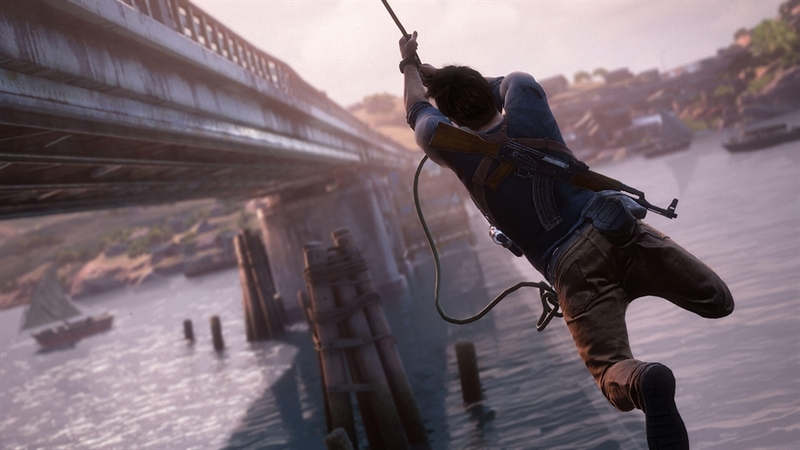 Uncharted 4 on the other hand, whilst having quite a few release date delays and key member changes in the development phase, the series creator Amy Hennig departed in 2014, The Last of Us’ Neil Druckmann and Bruce Straley have actually stepped in to weave an epic tale that has an emotional climax for all involved. Gameplay from beta version showed promise and an evolution to game’s core mechanics that should shift nicely into a blockbuster game in May, but this one might already be sewn up, considering just how flat many parts of the Quantum Break fall. It is ambition versus determination, green versus blue and Microsoft versus Sony. 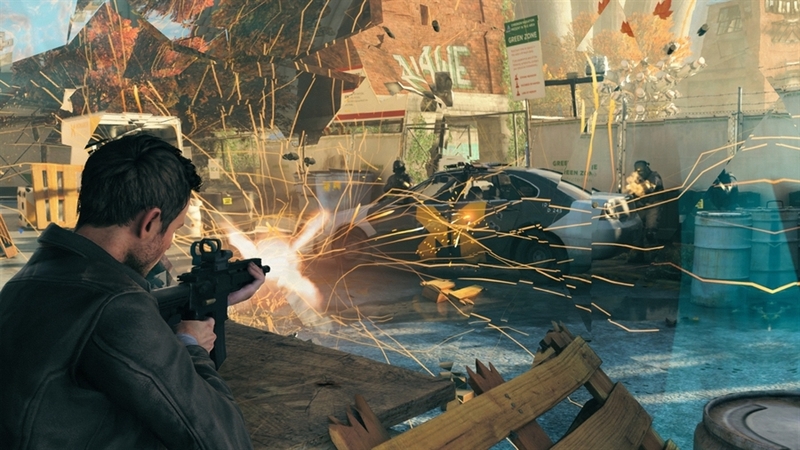 Did Quantum Break ever truly stand a chance against mighty Uncharted? Naughty Dog have always been great with rendering technology through true coding skill, prioritizing that first wow factor that comes with mastering all the aspects of visual design. From day one Uncharted established itself as the best-looking title on the Sony’s hardware, a fame that through some gorgeous cut-scenes and in-game, Uncharted carries forward. The cast’s facial animations look strangely realistic, to a point where the full production has a visual fidelity that augment it over every other game in the market. The closest competitor in this regard is Halo 5’s facial technology, and even that does not have tiny expression ticks that really make character models come alive. On the other hand Quantum Break’s facial animations shockingly transition from one to the other and at the same time character models both in-game and out are serviceable, rather than being outstanding. In addition, there is a strange, blurry look applied to everything that instantly gives it a dreamlike feel. However, you could argue that this feature is there to factor into story revelation or stylistic choice, but it is distracting and totally unnecessary by game’s end. 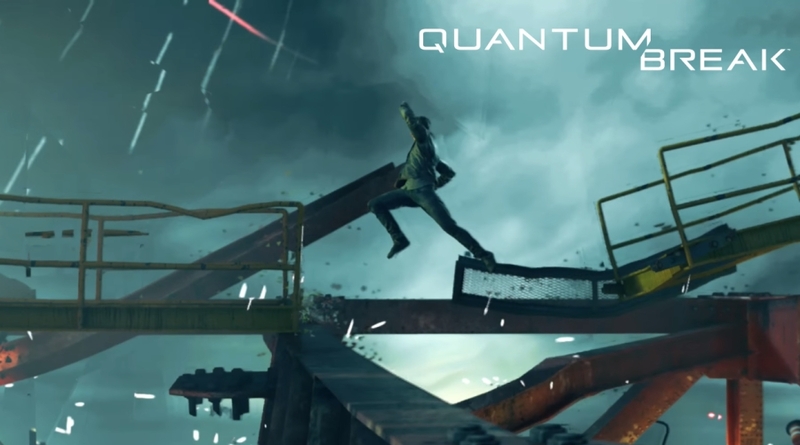 The standout feature of Quantum break is time powers, and therein lies a spectacular element of redirecting bullets and suspending mid-air explosions; it is just not enough to give Quantum Break the absolute visual knockout punch the game needs to win this first round. 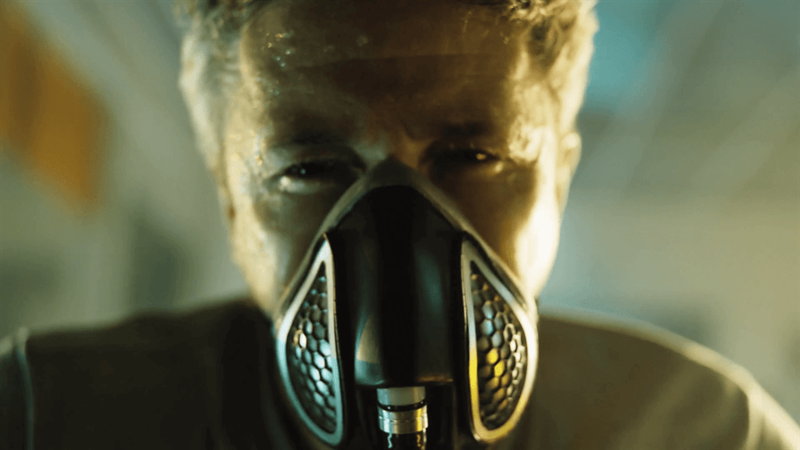 Quantum Break tries to innovate by providing you variety of powers, the real combat encounters and level designs in the game are very short, with you hardly having to do anything other than just triggering each one successively to survive. Quantum Break’s biggest hurdle is giving you bullet-sponge enemies and antennas that stop your powers until destroyed, sprinting at speed of sound, there is nothing that makes you really feel like an improvisational, time-bending phantom. On the other hand, Uncharted series has grown into an exceptional third-person shooter that doubles as a platformer. Naughty Dog’s past experience with latter genre let Drake moves with fluidity that allows encounters to be mad rushes to stay alive, ducking to get into cover and returning fire whilst persistently staying on the move. The beta has also confirmed this and even added in a new feature to grapple to various surfaces at the press of a button. This extends your range of tangible options to a vertical plane, and there is nothing more satisfying than leaping off building, closing a distance with well-placed grapple swing and coming crashing down with superman flying punch. Quantum Breaks’s failure to provide you unique encounters where you are forced to truly learn its powers or combo them together, makes this feel incredibly dull by comparison. Well, I never thought I would be including a dedicated third-person shooter game in the discussion on platforming, but Quantum Break actually donates a great amount of time to set-pieces that see you leaping between broken debris, all as the world dangles in stasis. The main problem is that Remedy have no actual experience in designing platformers. Instead, whilst the objective to let you leap through shattering bridge is a great one, the execution is incredibly flawed; for a moment just think of platforming sections where the control you have is limited to the extent of shooter, with the same level of response and fidelity. You have a jump button and a number of awkwardly angled leaps to line up and that’s it. As a result, you will die a lot in Quantum Break’s platforming sections, especially since there are various time obstacles such as closing doors and falling cars that will kill you instantly if you do not use the time bubble to stop them. It all ends up feeling strange distraction from the gunplay and narrative that otherwise holds together far better. On the other hand, Uncharted’s Drake has always moved absolutely where you command, we just need to look at different points such as collapsing house from Uncharted 3 or dangling train from Uncharted 2, to know we will always be safe where sections of gameplay are concerned. 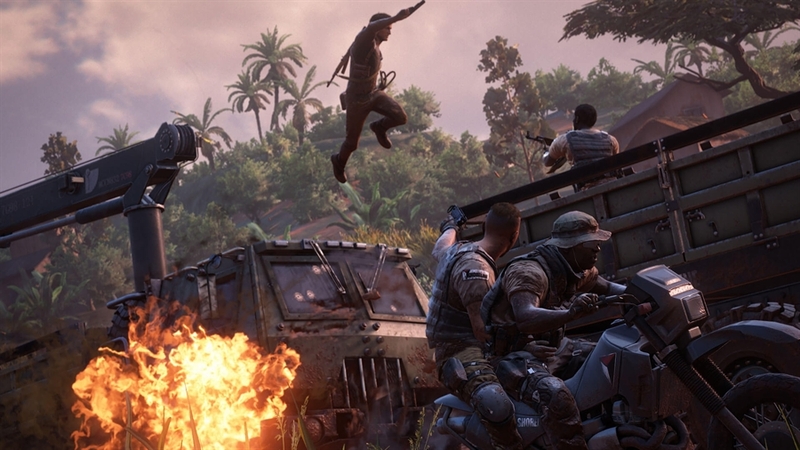 Granted, Uncharted 4: A Thief’s End is not aiming for the bolsters with its narrative; we have got Nathan Drake being dragged out for one last job with his brother, and it will no doubt lead to Major Death That Nobody Is Anticipated. The idea of time being a controllable element in Quantum Break is really interesting and leads into the impression that humans could one day break time, the explanations do not go further than that. Jack Joyce is a blank paper who does not question anything after about 20 minutes in, his brother William who is supposed to be a man with all answers keeps them all to himself, and villains Martin Hatch and Paul Serene ping-pong off each other with evil ambitions like ‘take over the world because we are evil’. In the end, you might have great experience, but there is no substance to draw out any replay value. The most motivated characters in Quantum Break are resigned only to the TV show, and even they get short exposure when finally emerge in the game. 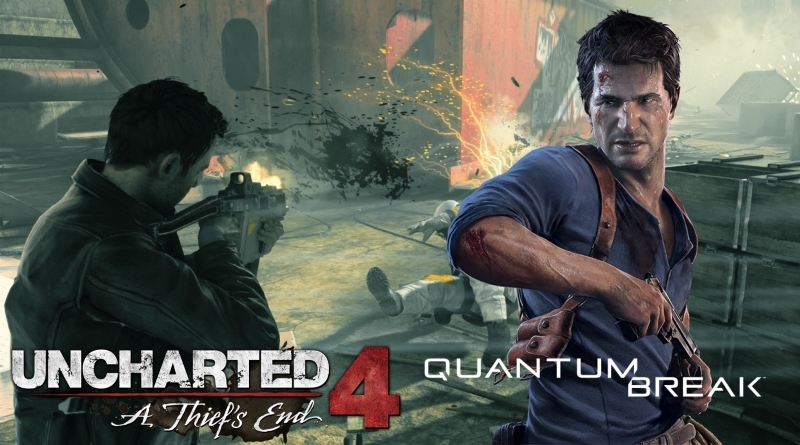 Uncharted 4: A Thief’s End could totally drop the ball with its expectations, but at least it will be comprehensible. The most enjoyment you will get in Quantum Break is when you watch the actors play their character. As I have mentioned earlier, Jack Joyce is a cog in this story, a person talked about by other characters as being important, but who is more defined by Shawn Ashmore. Similarly, villains Lance Reddick and Aidan Gillen, all play one dimensional characters whose ambitions pivot as the story commands, as oppose to any actual sense of internal logic. But in Uncharted 4 we get more character building from the opening shot, showing Drake stamping letters in a tiny office, than we do in the entire Quantum Break when it comes to main players and why they are doing what they are doing. Drake’s reaction to Sam being alive is a true moment of happiness, confusion. It is genuine and human in such a way that is necessary to ground the risks of what they are about to undertake. There is nothing like it in Quantum Break, and although you may find yourself caring about characters in the game by sheer definition of them being onscreen, the script does not support that with any real meaning.